This sharp-flavored leaf is low in calories, so this is one classic comfort food that is guilt-free. Loaded with vitamins A & C, with no cholesterol or fat, turnip greens are one of the healthiest canned vegetables on the shelf. 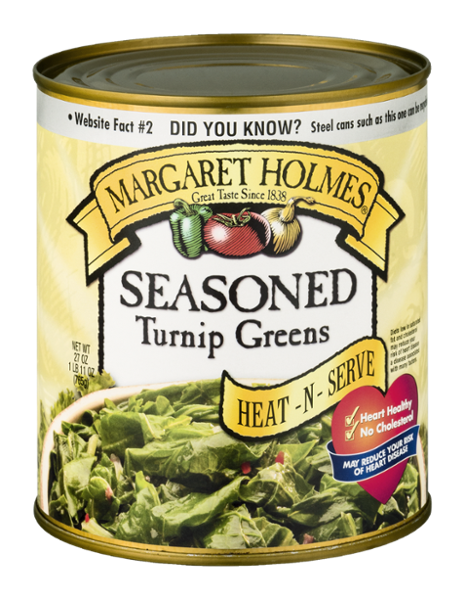 Margaret Holmes makes them delicious as well, by adding genuine Southern seasonings that taste even better than home made!